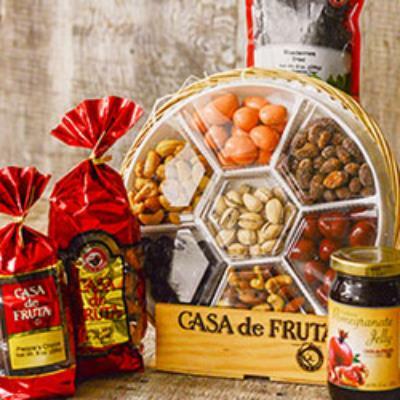 Give your Valentine a delightful crate of healthy dried fruit, chocolate, nuts, and our signature Pomegranate jelly. Fancy Fruit Mix 10 oz. Chocolate & Nut Round 16 oz. People's Choice Chocolates 8 oz. Net Wt. 52 oz. Ship Wt. 6 lbs.